Can you believe 100% of Southerners haven't heard "Da Turdy Point Buck"? Though this might be somewhat embarrassing and an exaggeration of our culture...it's pretty darn hilarious. And gives me back-up when I claim "my accent isn't that bad!!" Southerners, Westerners, Easterners, and Wisconsin (because you can never hear this song too many times!) take a listen, seriously. A freak sleety Nashville day ran me literally into Elizabeth and her sweetheart pup Nora. We were both anxious at getting some, any, any! energy possible out of these spit fires. 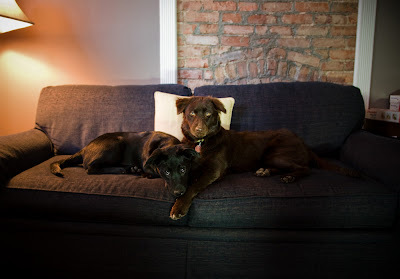 Elizabeth and her lover Jett have since soooo graciously been loving on Lula during the day with their dog Nora. Nora's tired. Lula's tired. Human's are relieved! I cannot thank them enough for their pup hospitality and sweet hearts. Hi I'm Scatt! I like beer! Especially ones from Belgium! Will you join me on a Belgian adventure? We can go to Cantillon! Ommegang? Oh! We have to go to Rodenbach too! I'm totally going to get so many samples of Grand Cru. That'd be so super hot. This news comes a little late, but I'm still pretty stoked, so I thought I'd share. My fellow buddy designer Jeff Leet and I had been asked to help the board members of Nashville Film Festival in their search for a new identity and logo. We attended a few meetings and were presented with a healthy amount of awesome logos. The board couldn't really agree on any of them, so they put Anode up to the test. After a million logo options between our 4 designers, we picked a few goodies to present. They picked mine!!! 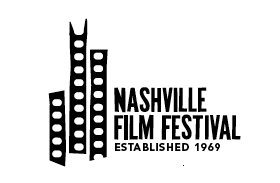 The logo is a few filmstrips that make up the skyline of Nashville. The middle one is highlighted as our recognized "batman building". I'm super excited. This film fest is a pretty large one (10th in the country) and this is my first big Nashville logo! Word is J. Nicholson is attending this year's festivities. I'd do some freelance for that brutha!